With just a few weeks to go before the eagerly-awaited final season of Game Of Thrones airs, Urban Decay have just dropped the first pics of their epic make-up collab. And Mother Of Dragons are we excited. Including everything from a pop-up iron throne eyeshadow palette worthy of any leader of Westeros, a dragon egg-embossed highlighter trio, and lipsticks branded with character appropriate house sigils, it’s the satisfyingly extra collection we were hoping for. 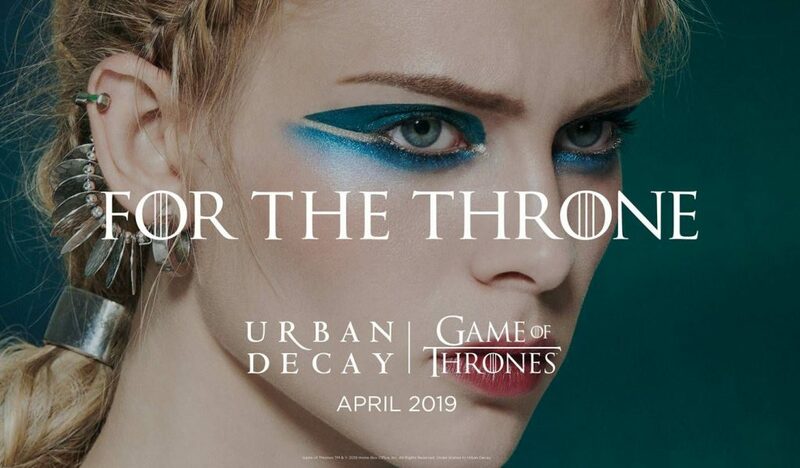 Forget fashion week, and leave Brexit to the people that actually care, because 2019’s big news just arrived in the form of Urban Decay‘s Game of Thrones make-up collection. If, like us, the phrase ‘Winter is coming’ signals a fellow GoT lover, Daenerys is your ultimate hair inspo and your Google history is almost entirely ‘do dragons exist?’ searches, then April’s final season showing will already be a firm date in your diary. And now, thanks to beauty brand legends Urban Decay, you can match your make-up to your GoT character of choice. Forget fashion week, and leave Brexit to the people that actually care, because 2019’s big news just arrived in the form of Urban Decay’s Game of Thrones make-up collection. Launching just in time for the final season, you can get your hands on the cult collection from April. So far the brand behind the iconic Naked Palette haven’t revealed much information, however, the few images we do have hint at an epic, and plot line appropriate, fire and ice theme. Posting on Instagram, UD revealed two dramatic make-up looks with the phrase ‘#For The Throne‘ written across them. Think metallic cobalt eyeshadow worthy of a white walker and regal bronze lipstick and smokey eye make-up we can see Cersei being all over. Watch this space for product info as soon as the raven arrives. Our Game Of Thrones obsession just hit new heights.